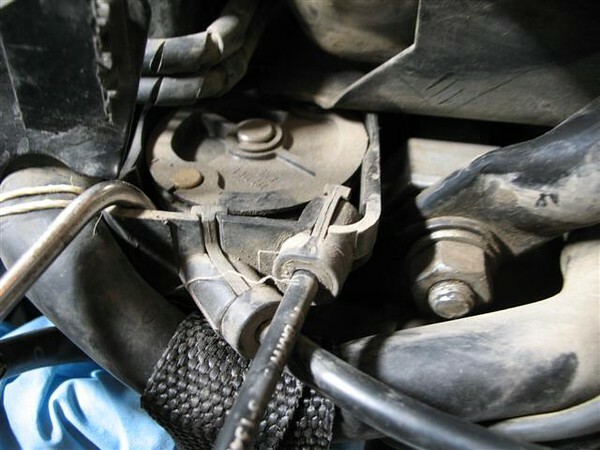 You can see the crankcase breather hose being held down out of the way by a nylon strap tied to the centerstand. Just stretch it on down as you'll need the room to slide the box out. There is the bowden box on its way out.